Shashi has a degree in Mechanical Engineering from Delhi College of Engineering and an MBA in Marketing from IIM Bangalore. Shashi spent 12 years with Hindustan Unilever where he worked in Sales for South Zone and handled the Skin Care category in Marketing. Subsequently, Shashi joined the RPG Group and was responsible for handling Marketing, Sales and Customer Service for the cellular operation in Chennai. Shashi joined PepsiCo thereafter and spent 6 years there. His experience included the role of Director, South India Operations and Executive Director Marketing, South Asia. After PepsiCo, Shashi spent 6 years in CEO positions with Tata Communications, Neo Sports and the Future Group. 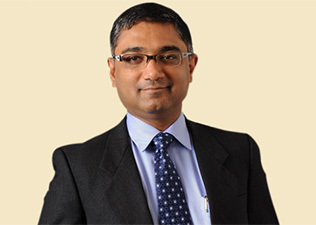 Shashi co-founded YFactor along with Debu Bhatnagar in 2009. Shashi Kalathil is a partner with Exponentia Capital and is on the Board of YFactor. He is based in Mumbai.